Numerology is any of many systems, traditions or beliefs in a mystical or esoteric relationship between numbers and physical objects or living things. Numerology and numerological divination were popular among early mathematicians, such as Pythagoras, but are no longer considered part of mathematics and are regarded as pseudomathematics by modern scientists. This is similar to the historical relationships between astrology and astronomy, and between alchemy and chemistry - mathematics and numbers to help define the alchemy of time and consciousness. Many alchemical theories were closely related to numerology. Persian alchemist Jabir ibn Hayyan, inventor of many chemical processes still used today, framed his experiments in an elaborate numerology based on the names of substances in the Arabic language. Today, numerology is often associated with the occult, alongside Tarot and Palmistry and similar divinatory arts. The term can also be used for those who, in the view of some observers, place excess faith in numerical patterns, even if those people don't practice traditional numerology. For example, in his 1997 book Numerology: Or What Pythagoras Wrought, mathematician Underwood Dudley uses the term to discuss practitioners of the Elliott wave principle of stock market analysis. 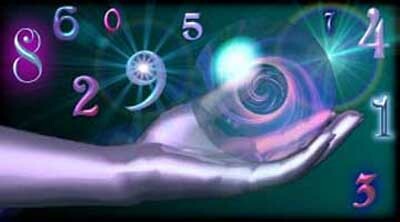 Currently numerology is used to predict the future and better understand human behavior patterns. Reality is a consciousness simulation, matrix, hologram, program, created by numeric codes that repeat in time, thus numbers are a universal language that help one determine the patterns and projections of what is occurring in the many levels of awareness in which we experience consciously. The most viewed numbers have to do with 11 which takes us to 11:11 binary code and consciousness. Modern numerology often contains aspects of a variety of ancient cultures and teachers, including Babylonia, Pythagoras and his followers (Greece, 6th century B.C. ), astrological philosophy from Hellenistic Alexandria, early Christian mysticism, the occultism of the early Gnostics, the Hebrew system of the Kabbalah, The Indian Vedas, the Chinese "Circle of the Dead", and the Egyptian "Book of the Master of the Secret House" (Ritual of the Dead). Pythagoras and other philosophers of the time believed that because mathematical concepts were more "practical" (easier to regulate and classify) than physical ones, they had greater actuality. St. Augustine of Hippo (A.D. 354-430) wrote "Numbers are the Universal language offered by the deity to humans as confirmation of the truth." Similar to Pythagoras, he too believed that everything had numerical relationships and it was up to the mind to seek and investigate the secrets of these relationships or have them revealed by divine grace. See Numerology and the Church Fathers for early Christian views. In 325 A.D., following the First Council of Nicaea, departures from the beliefs of the state Church were classified as civil violations within the Roman Empire. Numerology had not found favor with the Christian authority of the day and was assigned to the field of unapproved beliefs along with astrology and other forms of divination and "magic". Despite this religious purging, the spiritual significance assigned to the heretofore "sacred" numbers had not disappeared; several numbers, such as the "Jesus number" have been commented and analyzed by Dorotheus of Gaza and numerology still is used at least in conservative Greek Orthodox circles. An early example of the influence of numerology in English literature is Sir Thomas Browne's 1658 Discourse The Garden of Cyrus. In it, the author whimsically indulges in Pythagorean numerology to demonstrate that the number five and the related Quincunx pattern can be found throughout the arts, in design, and in nature - particularly botany. Modern numerology has various antecedents. Ruth A. Drayer's book, Numerology, The Power in Numbers (Square One Publishers) says that around the turn of the century (from 1800 to 1900 A.D.) Mrs. L. Dow Balliett combined Pythagoras' work with Biblical reference. Then on Oct 23, 1972, Balliett's student, Dr. Juno Jordan, changed Numerology further and helped it to become the system known today under the title "Pythagorean". Scientific theories are sometimes labeled "numerology" if their primary inspiration appears to be mathematical rather than scientific. This colloquial use of the term is quite common within the scientific community and it is mostly used to dismiss a theory as questionable science. The best known example of "numerology" in science involves the coincidental resemblance of certain large numbers that intrigued such eminent men as mathematical physicist Paul Dirac, mathematician Hermann Weyl and astronomer Arthur Stanley Eddington. These numerical co-incidences refer to such quantities as the ratio of the age of the universe to the atomic unit of time, the number of electrons in the universe, and the difference in strengths between gravity and the electric force for the electron and proton. ("Is the Universe Fine Tuned for Us? ", Stenger, V.J., page 3). Large number co-incidences continue to fascinate many mathematical physicists. For instance, James G. Gilson has constructed a "Quantum Theory of Gravity" based loosely on Dirac's large number hypothesis. Wolfgang Pauli was also fascinated by the appearance of certain numbers, including 137, in physics.